MAXIMUM PLAYERS: 8 players max. X-Wing returns to Prairie Game Expo! 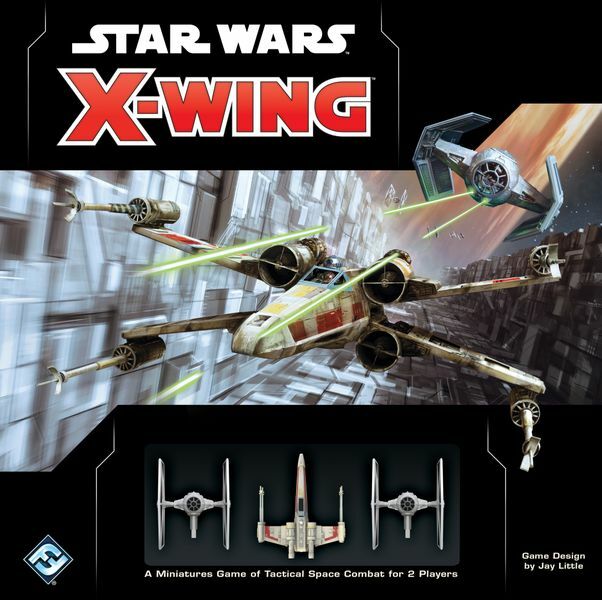 With its detailed miniatures and custom dice, X-Wing launches you into a galaxy full of fast-paced starfighter dogfights. Just plot your maneuvers, fly at your enemies, take aim, and fire. The tournament at Prairie Game Expo will use the Hyperspace format. On Fantasy Flight's official X-Wing page you can find the Point Lists for the various factions. When you look at those PDFs you will see which ships and upgrades are allowed in the Hyperspace format. Lists will be 200 points. The tournament supports a maximum of 8 players. Registration in advance is recommended. Register by posting on the Prairie Game Expo forum. Prizes will be provided from X-Wing Organized Play Kits provided by ComicReaders Downtown.